Being associated with Prime College from the past 6 years I’ve had good and ok memories attached with my college. 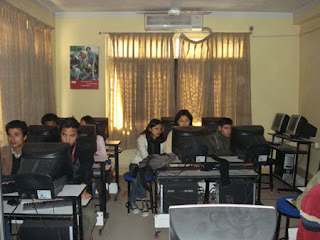 Yesterday (23rd Feb 2008) after being postponed from an earlier date I conducted an experience sharing session at my colleges’ lab. With 21 participants mainly from the current BIM 7th Semester and some from BIM 5th semester as well the experience sharing went ok. Why ok, because I couldn’t deliver what I had planned for and also because of the following things. Apache being already present and I had no idea about it. The long setup time oh god. Ok let me get back to track, the environment instilled a sense of enthusiasm in the participants (my juniors) and there were very interested people and also people with less but sizeable interest. The approximately 3 hour experience sharing kicked off with a thirty slide presentation by me (hope it was not boring for the participants). The slide mainly incorporated what is Drupal, why use it, its features, popularity, sites using Drupal, Drupal sites I’m involved in etc. I think I took around half an hour for the presentation. Then we started the real deal, I tired to install XAMPP but my bad luck there was already PHP triad installed that was of old version which had PHP 4.1 to which Drupal 5.7 is incompatible. L eaving that behind I was able to pull off installing XAMPP 1.5.2 at one computer and sharing the htdocs (document root) was another problem. With problems occurring one after another I did setup one server and could install Drupal. 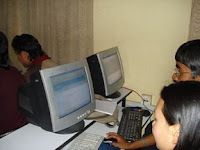 Then added and asked the participant to add page to the site (everyone had their own database and code base). 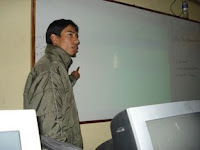 Then I edited the added content, added a blog, changed site information, and changed a theme the participants followed. Due to the load shedding I could just manage to integrate a new theme and a module to the Drupal code base. I did inform everyone about the Drupal How To so I think they can follow up as the foundation for using Drupal has been laid. 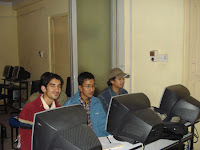 It was a good experience and hope the participants learned something new. I could have posted this blog yesterday but couldn’t due to load shedding. « Getting multiple values from a single selection of a form.